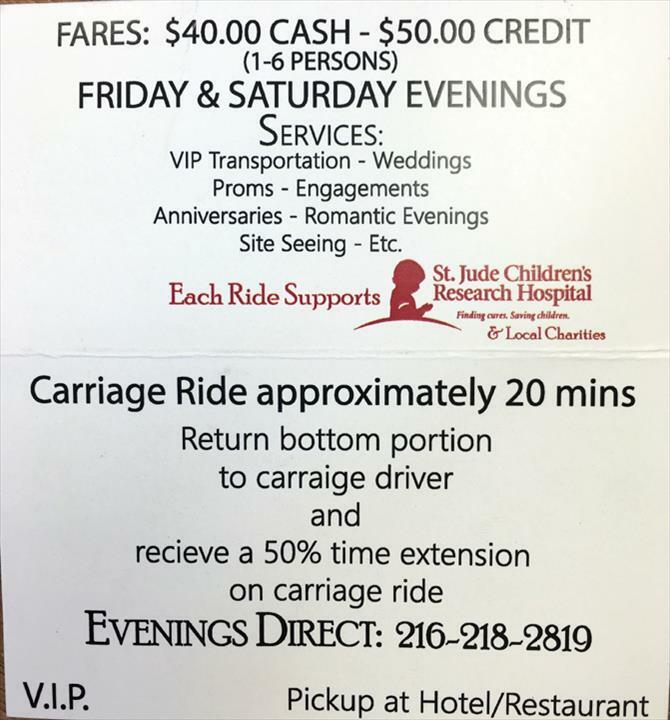 Each Ride Supports St. Jude Children's Hospital - Giving Rides Around the Square From Thanksgiving to Christmas Eve! "This was the most wonderful way my fiance could have proposed to me. Valentine's day dinner and out the a beautifully covered horse drawn carriage. Most wo derful experience of my life. Love the horses what an amazing day! Thanks for helping make it special!!" 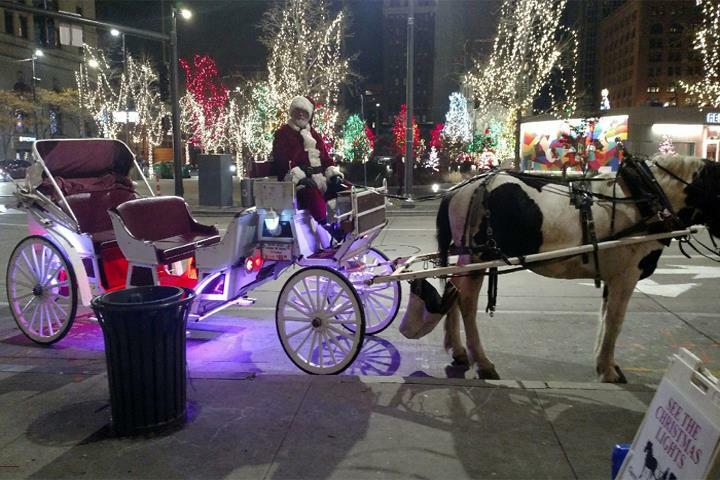 "Really enjoyed my carriage ride w/Santa and his horse. My family surprised me with a carriage ride with Santa and his horse. While waiting, Santa's helpers were very curtious and engaging with conversation. Santa even gave up his blanket, so we could stay warm, as the winds off the lake were very cold. After our ride, we were able to feed the horse some carrots. I would highly recommend taking a ride with Santa and his friendly horse. Thanks again for the memories!" 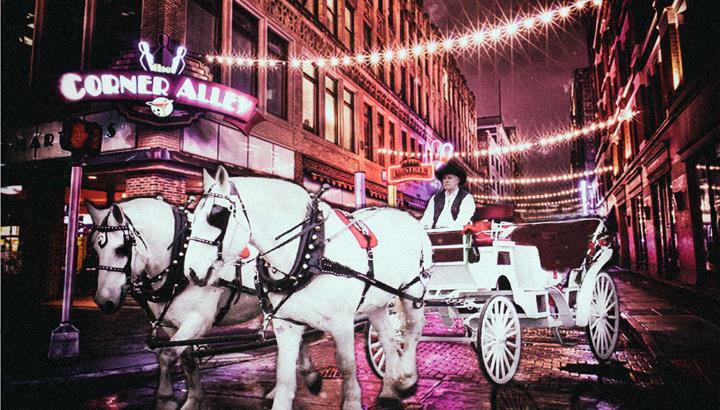 "Hay a great ride around public square for the holiday light show. Driver was courteous and watched out for all the busy traffic. Made our family's night." 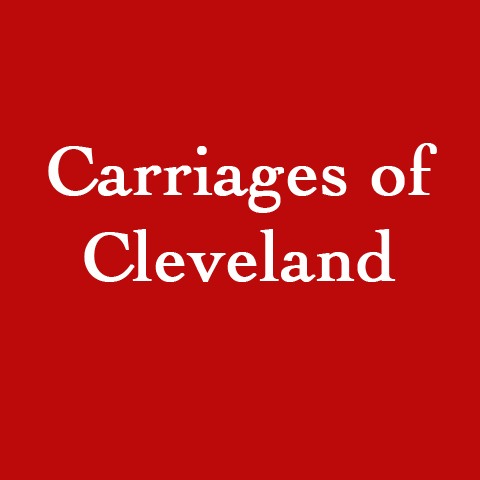 "My husband and I went on a carriage ride for our anniversary. It was a smooth and peaceful ride through the city. I highly recommend it!"